The EFLHB is designed for energy-efficient replacement of Metal Halide and High Pressure Sodium Fixtures. Available in T-8, T-5, T-5 HO, 4 lamp and 6 lamp configurations. 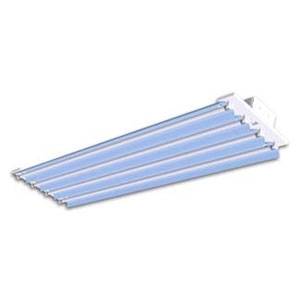 Ideal for factories and warehouses where high levels of illumination are required. Miro-4 reflector maximizes light output while offering high efficiency. White reflector also available for low bay applications. 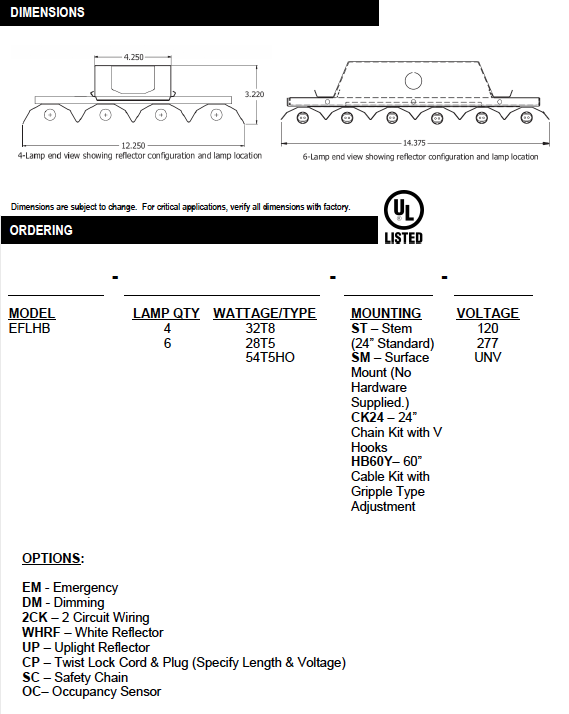 Optional provisions for dimming/HILO controllable systems for additional energy savings. Cold Rolled Steel. Finished in baked white enamel. Miro-4 reflector designed specifically for lamp quantity chosen (4 or 6). White reflector available. Optional uplight reflector also available.